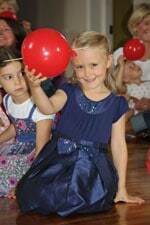 We provide science entertainment for children’s birthday parties, christenings, Bar Mitzvahs and much, much more. 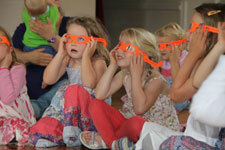 Our Science Boffins love to entertain children at birthday parties and all family-friendly events. They bring all the equipment they need to conduct all their experiments – all they need is a room, a table and an audience! If the weather allows, they can even demonstrate messier science experiments outside although our Boffins always make sure that the children have a fantastic time inside or out. 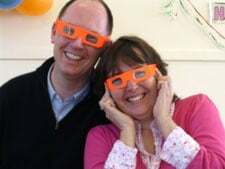 We cover most parts of the UK and our Science Boffins are all actors or children’s entertainers who have been DBS checked and are fully insured. The length and content of the show. You can choose from one hour upwards in ½ hour increments. However, we don’t recommend more than one hour for 4 to 5 year olds. The number of children. A minimum of five kids is normal and we recommend a maximum of 30. More than 30? Don’t worry, you can always book a second Boffin as support. The distance from your nearest Boffin. As a guide, the basic cost of a children’s science party starts from approximately £10 per child (based on 30 children). To learn whilst laughing is surely the best way for children to develop an understanding of how science affects every aspect of their world. Everyone in our team is checked and approved to work with children by the DBS (Disclosure and Barring Service). For more information please visit the DBS website.